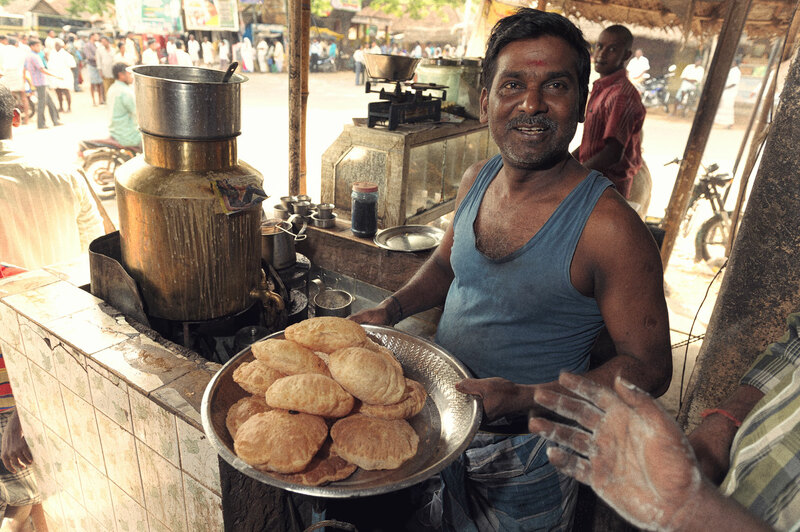 In the small towns of Southern India, the tea shops are the center of social life. Here, everyone meets to exchange gossip, talk business, and have a glass of sweet spiced tea (chai). Puris and other mainly fried delicacies are also available.